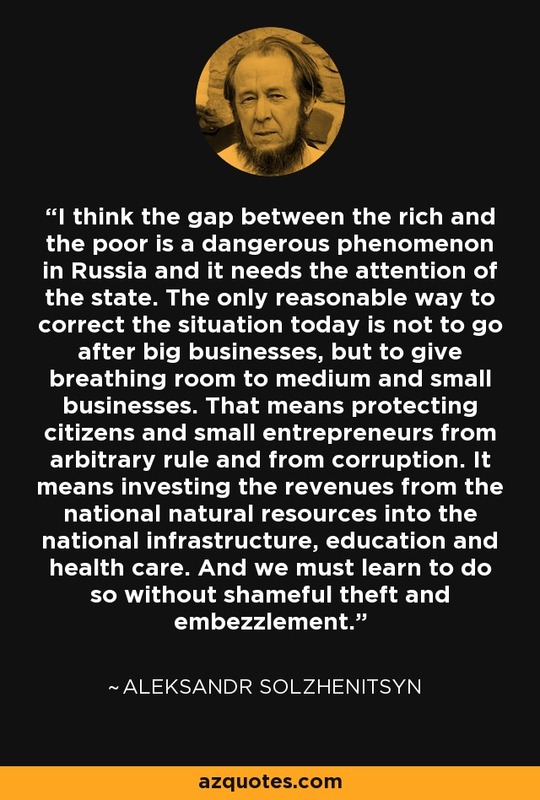 I think the gap between the rich and the poor is a dangerous phenomenon in Russia and it needs the attention of the state. The only reasonable way to correct the situation today is not to go after big businesses, but to give breathing room to medium and small businesses. That means protecting citizens and small entrepreneurs from arbitrary rule and from corruption. It means investing the revenues from the national natural resources into the national infrastructure, education and health care. And we must learn to do so without shameful theft and embezzlement.